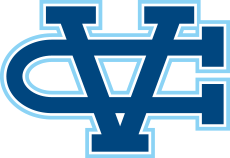 Valley Christian Track & Field: Boys XC Finish 2nd in CCS, Advance to State Meet! Boys XC Finish 2nd in CCS, Advance to State Meet! Belmont, CA - For the first time since moving to Division III in 2007 the boys cross country team qualified to compete in the CCS Championship. Now they are headed to the State Meet for the first time in school history. The Warriors have been impressive all season setting a team time records for every course they have competed on and held the #1 ranking for DIII much of the later half of the season. Yet it was the Warriors that found themselves on the outside of state qualifying spots two miles into the race. A strong start by Aptos, Saratoga, and Riordan it was a big push in the final mile that propelled the Warriors to the runner up finish. Joe Renati has been stellar this season and has transformed into an elite competitor at the section level, culminating with an impressive 9th place finish in the CCS Championship. Battling foot pain Mitchell Rohr was off his pace from a week prior but came on strong the last mile once again to finish 14th in 16:43. Need Ndili had a strong rebound from a tough league race and finished in 17:04. Sam Cuevas (17:11) and Cameron Lockard (17:17) rounded out the scoring team. Lockard moved up 10 places in the final mile being a major contributor in the Warriors securing their first podium appearance. Perter Enfantino and Justin Baraona rounded out the varsity team. "These gentlemen showed a strength of character and the power of team in CCS this year." Coach Blaha said. "They were tested with injuries and disappointments, but from the joy on their faces holding that trophy, we knew it was all worth it." "They've accomplished something significant in Valley's history and I'm honored to share that with them." The Warriors advance to the California State Championship held at Woodward Park in Fresno on November 28.